The Special Envoy of the President, Minister D.M. Swaminathan paid his last respects to the late former Indian President Dr. A.P.J. Abdul Kalam at the State Funeral which was held in Rameshwaran on Thursday, the foreign ministry said. 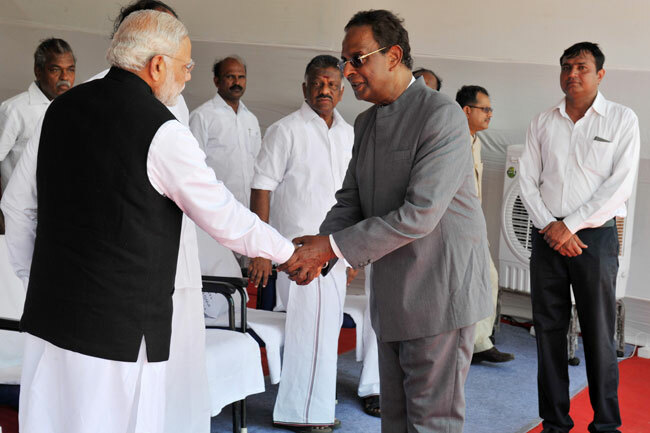 At the State Funeral, the Special Envoy conveyed the condolences of President Maithripala Sirisena, Prime Minister Ranil Wickremesinghe, the Government and people of Sri Lanka through Indian Prime Minister Narendra Modi and to the late Indian President’s brother Mohammed Muthu Meera Lebbai Maraicker as well as to the members of the family. The Minister also carried with him the messages of condolence, the ministry said in a statement.